Does the exhaust of Battle of Britain Class 4-6-2 34067 Tangmere always blow down and partly obscure the train? It certainly seems so, as this is the second time this year I have suffered this problem with this loco. 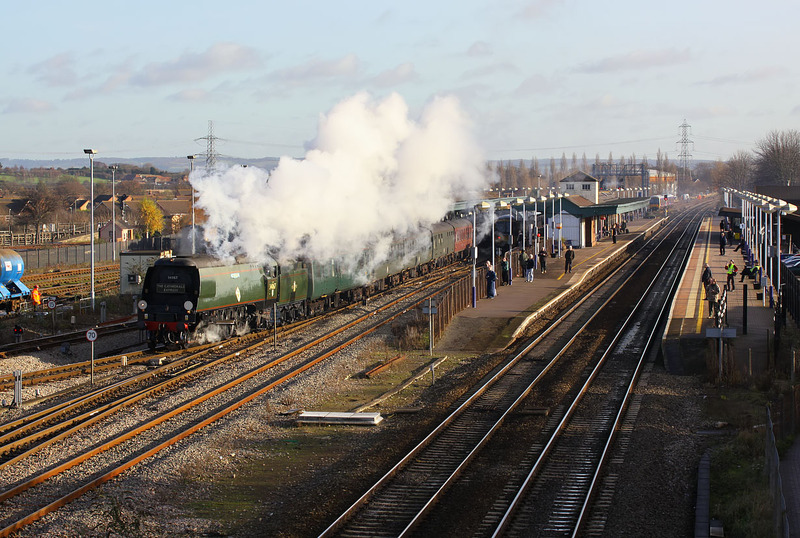 It is seem here pulling out of Didcot Parkway station on 10 December 2009 with the Steam Dreams 1Z82 09:40 Victoria to Oxford 'Cathedrals Express' railtour. Just two months previously I had seen it near Crofton on another 'Cathedrals Express' (surely the most over used steam railtour name), with similar errant exhaust.